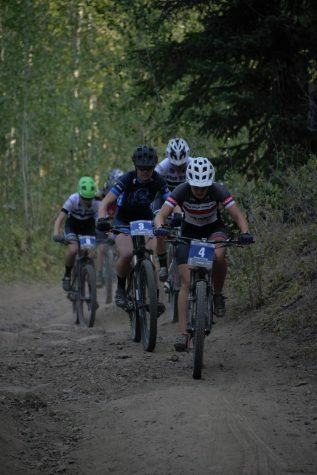 On Saturday August 25, several students from Madison High School competed in a state wide mountain bike competition. This event was held near Twin Falls at Magic Mountain. Over 25 teams of 6 through 12 graders or approximately 700 riders from across Idaho competed at Magic Mania. “I was in a battle for 3rd, 4th, or 5th place. Unfortunately, I crashed on a loose, dusty corner during my third lap and ended up taking 5th,” Senior team captain Morgan Hurst said. Madison’s team has been growing the last few years. The team started in 2015 with under 15 kids competing. The 2018 season on the other hand has seen more than 70 kids coming to weekly practice. 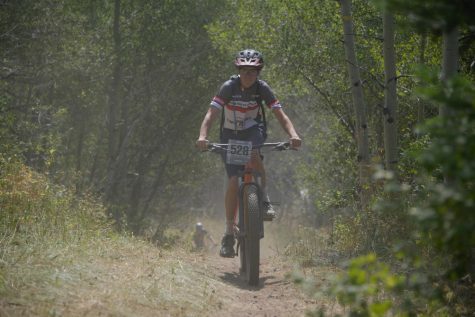 The mountain bike team encourages everybody to get outside and to ride their bike. “I have been riding for three years and I think it’s great because everyone can participate. Unlike other sports, no one is sitting on the bench,” Sophomore Ketti Christensen said. While practices are a good place to make new friends, the races are a good chance to explore new areas within our state. “The races are way fun. They can be as competitive or as noncompetitive as the racer wants. The places we race have some of the most beautiful scenery in Idaho,” Senior Stephen Crawford said. Participating can be a good growing experience as well.